Similarities Between 1976 Swine Flu Hoax and Ebola? 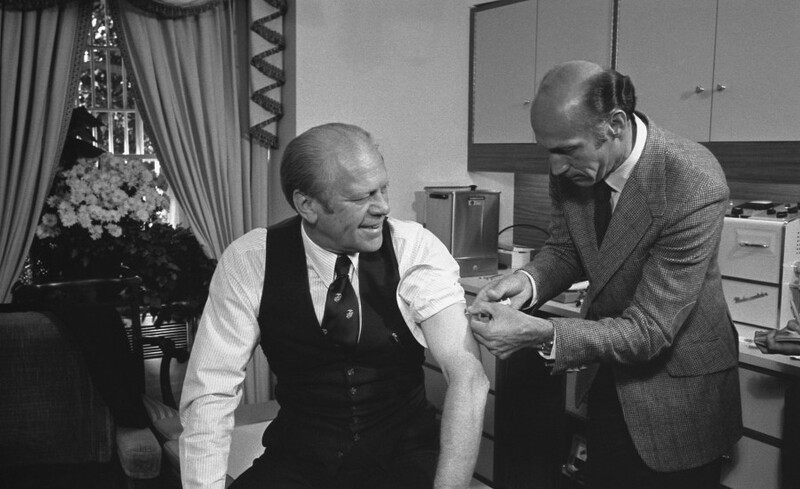 The pharmaceutical industry convinced President Gerald Ford to give them legal immunity from the Swine Flu vaccine which was rushed to market in 1976, and to lead the PR campaign to convince Americans to get the vaccine. More people died from the vaccine than from the flu. Read this before you consider purchasing a hazmat suit to protect yourself from Ebola! Are we facing an Ebola pandemic that will kill millions, or is this just a marketing plan of the pharmaceutical industry to sell more drugs and vaccines? Is the current strain of the Ebola virus a secret creation of pharmaceutical company scientists, biological warfare researchers, or the fruit of Monsanto’s product development team? Was Ebola created , or did it just accidentally spill over into humans from an animal host such as African fruit bats? 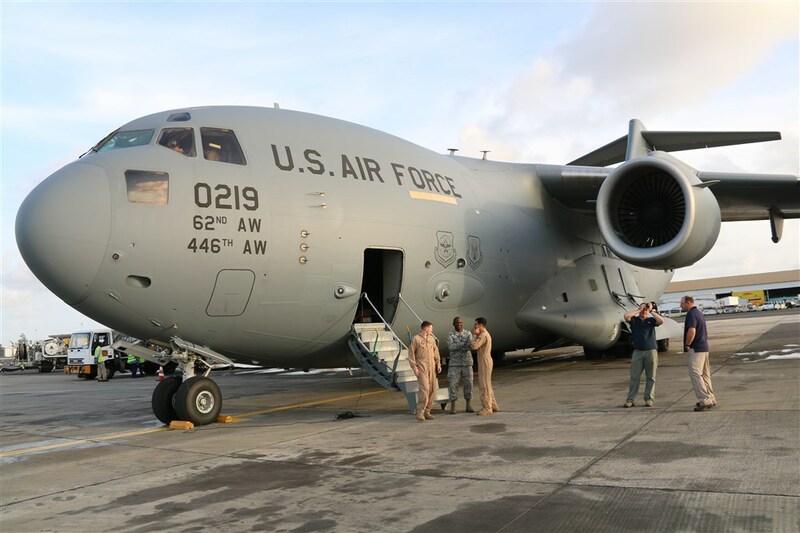 Is the US government intentionally not taking strong action to prevent Ebola from spreading or is there really minimal risk to Americans? Are there groups that want to decrease the world population through spreading contagious diseases such as Ebola, or is this just another imaginary plan that is being reported by certain conspiracy theory groups? Is the Ebola virus a local epidemic, a global pandemic, or a hoax? Is life in America as we have known it about to collapse into chaos and martial law, or will we be safe and secure once we take the Ebola vaccine? Will more people die from the Ebola vaccine than would have died from the disease itself? All these questions have been circulating through the media over the last few months. The situation with Ebola is certainly a complex muddle of contradictory facts, opposing interpretations, and political intrigue. It reminds me very much of the 1976 Swine flu hoax — commonly called the swine flu fiasco or the swine flu debacle. To better interpret what is happening with the current Ebola situation, it will be helpful to look at one of the great American examples of health policy gone awry. For those who don’t remember the 1976 swine flu threat or weren’t living in that era of history, it will be useful to compare the past events to our current situation with Ebola. In 1976, I was a junior in college. A friend convinced me that I should be concerned about the swine flu that was predicted to devastate the US population. Millions of people were expected to die unless we all lined up and took the flu shot. Reluctantly I gave in to my friends fear and we went and got the vaccine. Four years later, when I was a public health graduate student, we were required to read a book about the 1976 swine flu hoax. I was shocked by what I read. I was so naive! As a 23 year old graduate student, I found it hard to believe that the system failed so badly. At that time, I truly believed that government officials, physicians, scientists, pharmaceutical companies, and of course public health agencies were all working to promote the health of Americans. It was disturbing and shocking to learn that faulty scientific interpretations, partisan political interests, opportunities for corporate profit, and personal pride and desire for career advancement were the powerful driving forces behind the development of the 1976 swine flu program. The whole thing began in February 1976 when an Army recruit at Fort Dix, New Jersey, fell ill and died from a swine flu virus thought to be similar to the 1918 strain, which killed an estimated 500,000 Americans. Based on a relative similarity with the 1918 swine flu, it was determined that millions might soon die unless the US government mobilized a powerful response to protect Americans. It was time to pull out all the stops and show how the public health system could effectively prevent a disaster. During the spring and summer of 1976, pharmaceutical companies went to work making and stockpiling millions of doses of swine flu vaccine. Then the government went to work inducing sufficient fear among Americans to motivate us to roll up our sleeves and take the shot. We saw pictures of President Gerald Ford receiving his shot, and many of us did the same patriotic deed in the year of our nation’s bicentennial birthday. Taking the vaccine was in many ways advertised as an act of patriotism as well as an act of self-preservation. Well, in retrospect, the swine flu epidemic of 1976 never developed. It wasn’t because 40 million Americans took the shot. It was because the swine flu never existed. It was nothing more than poor science, flawed judgments and wishful thinking. In short we all were part of a grand hoax. After all the hype, and only one death and 13 cases of the swine flu,  the vaccination program was abruptly cancelled after 10 weeks. Guillain-Barre syndrome  is a neurological condition which causes temporary paralysis that can lead to death. More people died from the flu vaccine than died from the flu. Could Ebola be another Grand Hoax in the Making? At this point I don’t think we can be sure the threat is real. Why would I say such a thing when we know that thousands have died in Africa from the Ebola virus? I highlighted the words “confirmed, probable, and suspected” in the preceding paragraph, because the number of affected persons and the number of deaths are not all based on scientific testing. The truth is that the WHO numbers simply represent a belief about Ebola incidence and fatalities. People are constantly getting sick and dying in Africa just as they are in the US. In the current situation, where Ebola is likely on the minds of every doctor and nurse in western Africa, it is natural to attribute deaths to Ebola. Having been part of the public health system as a young person, it is clear to me that we make assumptions, even though our training cautioned us against such behavior. Just as generals in the military can’t wait for the next war so that they can go to work doing what they have spent a lifetime studying — leaders of the public health system, such as those in the World Health Organization, are eager to grab at any opportunity to find a disease threat and to eradicate it. After all, that is their job. Generals and public health officials both think in terms of the next battle to be fought. That is what they will do even when the threat is minimal or maybe does not actually exist. Are the generals of pandemic warfare at the World Health Organization making inferences and assumptions, which might just prove to be wrong? The standard test for diagnosing Ebola is the PCR, which has many flaws that render it misleading and useless. This is verified in spades by a Department of Defense manual. Are other Diseases being Confused with Ebola? There might be any number of diseases or health conditions that may have symptoms similar to Ebola virus disease. Acute pesticide exposure, acute chemical exposure from an unknown source, or just a common variety of flu could all be confused with true cases of Ebola. If health workers are as overwhelmed as has been reported, then confusion is likely. Take this example—a farming village in Liberia, one of the so-called epicenters of Ebola. The families manage to produce enough to get by. They live downstream from a giant Firestone rubber plantation. For years, to no avail, the people of the village have been protesting the runoff of noxious elements into their water supply. Fish are dying. Crops are failing. That means malnutrition, hunger. That means chemical assault on their immune systems. People are developing sores, lesions, fevers, respiratory problems, digestive problems, including diarrhea. Is it Coincidence that the “Epidemic” and the Vaccine are Arriving Together? I must wonder how it is that the Ebola vaccine is almost ready for distribution at the same time that we are being told to brace ourselves, because the Ebola virus is on the verge of becoming a worldwide pandemic that could kill millions of us. Here are a few facts that you might find of interest concerning this coincidence. Is Ebola a Threat or a Hoax? I wish I could definitively tell you whether Ebola is a real threat or a hoax. Based on what I know about the corruption in the pharmaceutical industry, conflicts of interest among political leaders, corporate influence over government agencies, and the agenda of the World Health Organization, I have to say that the truth is buried among a mountain of lies, disinformation, and rapidly changing assumptions. Even if Ebola is truly a threat, I don’t recommend spending a lot of time worrying about it. I, however, do recommend taking several positive actions. My recommendations fall into two groups. The second suggestion involves doing everything you can to avoid taking the Ebola vaccine when it is made available. A strong immune system is the best defense against Ebola. The vaccine will not be a true prevention, and is likely to be filled with toxic substances that will compromise your immune system. If I am wrong, and the Ebola virus becomes a real threat, then my suggestions regarding building up your immune system will substantially lower your risk of being infected by the Ebola virus. If I am right and there really is little to worry about, then the recommendations will simply give you a stronger immune system, which is a good position to be in regardless of any known or unknown viral threats. The bottom line is that we do not need to resign control over our health to a government agency or to a pharmaceutical company. We do not need to become helpless victims of an invisible threat if it does exist. We have strong options to lower the risk of contracting this disease and surviving it if we are infected. We have options and we do not need to live in terror of a viral menace! Does the Conventional Medical System Have a Cure for Ebola? Scientists from the University of Texas Health Science Center at San Antonio, Texas, indicate that the conventional medical system does not have a curative treatment for Ebola. Even treatments that are being developed by pharmaceutical companies are described as palliative. At first glance, this might cause some people to fall into a panic about the situation. The good news is that alternative healthcare practitioners have numerous treatments that might be helpful against the Ebola virus. Of course, the herbs, vitamins, and essential oils that could be potentially beneficial, have not been proven as being effective against Ebola. Thus, the pharmaceutical companies and alternative healthcare practitioners are in the same boat. Neither group can claim that they have the cure for Ebola. At this point, all treatments are experimental. We won’t be able to identify the best treatments until people who actually have the disease are treated for it by conventional and alternative healthcare providers. Ultimately, people who contract the disease and survive will need to depend on a strong immune system for survival. The vaccine will not cure a person who already has Ebola. Pharmaceuticals and natural substances will help. But protection from Ebola, if it becomes a real threat, depends on our natural ability to resist viral diseases and the availability of very basic medical care such as proper nutrition and hydration. The most powerful tool against the outbreak is basic medical care. Drugs under development will not be a big part of the solution. They are too early in development for enough doses to be manufactured, even if they are shown to be safe. The real area of focus, he said, should be setting up medical infrastructure in the affected countries to provide sick people with basic medical support such as replacement fluids and blood. That will have a much bigger effect on health than a few batches of experimental medications. A strong immune system is the best defense for fighting Ebola or any other viral infection. Building a strong immune system involves many factors. It begins with turning away from the standard American high sugar, high carbohydrate, low fat, and highly processed diet. This diet suppresses the immune system. People who have been weakened by chronic poor nutrition from a standard American style diet, and who are exposed to environmental chemicals, numerous food additives such as preservatives, pesticides and highly processed food ingredients will have a much more difficult time fighting Ebola if they happen to contact the virus. We have been led to believe that our only hope is in the magic formulas and expensive potions of the pharmaceutical industry, but this is quite far from the truth. There are many treatments, which both prevent and cure viral infections. I will discuss a few of the options in the following sections. Ultraviolet radiation from the sun can be important for Ebola prevention and treatment. The Ebola virus is inactivated when it is exposed to UV radiation. UV light is contained in unfiltered natural sunlight and is available from manmade sources. The Ebola virus can survive in liquid or dried material for a number of days once it leaves the body of the host. This means that hygiene is important for preventing the spread of the virus. Vitamin D supplementation is usually needed by people who live in northern climates and are not able to obtain adequate sun exposure. Vitamin C destroys viruses or sets them up for destruction by the immune system. Oral doses of high quality vitamin C will prevent viral infections, and intravenous (IV) vitamin C therapy can be used as a powerful cure for active cases of Ebola and other viral infections. Many people have found that homeopathic treatments for viral infections have been quite effective. Dr. Vickie Menear, MD and homeopath, found that the remedy that most closely fit the symptoms of the 1914 “flu” virus, Crotalus Horridus [rattlesnake venom], also fits the Ebola virus nearly 95% symptom-wise. Please note: it is not a good idea to try and make your own homeopathic remedy from live Ebola virus. If you wish to use homeopathic treatments, then please consult a qualified homeopathic practitioner. Silver … has been used as an antimicrobial for thousands of years. It’s a powerful antibiotic, attacking all kinds of bacteria in a three-pronged attack. … Silver can be used as a method for disinfecting water of both bacteria and viruses. Since disinfecting contaminated environments is the most effective method of halting Ebola’s spread, silver could be a most potent weapon in the battle. As to whether red algae can be taken in natural form to increase immunity, there is no doubt this is the case. Prior to this antiviral research that has spiraled into biopharm research, red algae had been shown to have antiviral and anticancer effects. Researchers who specialize in the study of melatonin have published a report showing that melatonin could be a valuable treatment for treating Ebola infections. Melatonin is most commonly thought of as a hormone that is essential to normal sleep, but it is also a pervasive and powerful antioxidant that protects DNA. The report indicates that melatonin can be used to address severe symptoms of Ebola infection. These include endothelial disruption, disseminated intravascular coagulation (formation of blood clots in the small blood vessels throughout the body), and multiple organ hemorrhage, which commonly occur with an Ebola infection. They indicated that there are numerous similarities between Ebola virus infection and septic shock. Melatonin has been successfully employed for the treatment of sepsis in many experimental and clinical studies. It could be useful for Ebola as well. There are many essential oils that are known to kill viruses. Some of these oils were recognized as effective in previous historical plagues, before they were known as “essential oils,” which is a more modern term. The French perfumers in particular had special plant oils that proved to be effective against many of the historical plagues of the past. Unfortunately, much of the online knowledge about which essential oils might be effective against Ebola were contained on websites selling these essential oils. Recently, the FDA decided to attack the two largest distributors of essential oils, and force them to remove this information. (See: FDA Targets Essentials Oils: Sees EOs as Threat to New Ebola Drugs? ). The best place to find this information today is probably via books on the subject. If you have the ability to search the Internet in other languages, you might want to try searching in Mandarin Chinese, as the Chinese have a strong herbal and essential oil history. Pure plant oils are a direct threat to pharmaceutical products, and it appears that the government has used the “Ebola crisis” to finally go after distributors of these essential oils and force them to remove all health claims  from the Internet. For an overview on the health benefits of essential oils see my previous article: Using Essential Oils to Cure Disease . We will soon be offering all of my articles on this topic together in an eBook format. I say, if you become ill with a viral illness, do the basics to help optimize your immune system. I will show you the four most important items you can use to aid your immune system to fight any illness. The most important item is vitamin C. Humans are not able to manufacture vitamin C. Either we get enough vitamin C from our diet or the immune system will not function optimally and we will be more prone to becoming ill with various infections, Ebola included. Throughout the medical literature there are many case histories of vitamin C curing viral and other infectious illnesses. Vitamin C activates the immune system so that it can fight any infection. How much vitamin C should you take? I would suggest taking at least 5,000 mg of vitamin C on a daily basis. If you become ill with any infectious agent, take more as the body’s requirements dramatically increase when it is confronted with an infectious agent. Intravenous vitamin C should be given to all Ebola patients. Though it has not been studied, I have no doubt that IV vitamin C would be a great benefit to any patient suffering not only from Ebola but from any infectious agent. In my practice, I have used IV vitamin C for over 20 years. Anytime the body is stressed, vitamin C requirements are elevated. IV vitamin C achieves a much higher serum level as compared to oral vitamin C. IV vitamin C should be a standard-of-care treatment for all Ebola patients. What else can you take to prevent a viral infection? I would suggest taking vitamin A. Vitamin A is integral for the maintenance and functioning of the immune system. In acute viral illnesses, I have found short courses of vitamin A (not beta carotene) very helpful. From 10-100,000 U of vitamin A per day for a few days to a few weeks can stimulate the immune system to fight viral infections. Vitamin D is also important. Over 80% of patients are deficient in vitamin D. Maintaining adequate vitamin D levels helps lead to a strong immune system. For most patients, I suggest taking 2-6,000 U of vitamin D3 per day. In times of acute illnesses, 50,000 U of vitamin D3 per day for a few days has proven extremely helpful. Iodine is essential. No virus, bacteria, or parasite has been shown to be resistant to iodine. Iodine levels have fallen over 50% during the last 40 years. Maintaining iodine sufficiency is one of the most important things you can do to help your immune system. For most patients, I have found 12-50 mg/day can supply the body with the correct amount of iodine. I think there is a high possibility the mainstream media will soon be reporting that the people of the United States are in very serious danger from Ebola, and we must take precautions. We may be told that millions will likely die unless every last American takes the Ebola vaccine. We may be under strong pressure from government leaders, business leaders, religious leaders, and civil authorities to take the vaccine. According to public health data, it appears that 50% to 90% of people who are infected with Ebola will die even with conventional medical help. As stated earlier, we cannot be sure that the number of deaths that are attributed to Ebola is accurate, thus, the death rate from Ebola could be lower than is claimed. There are quite a few natural approaches to Ebola prevention and treatment. We do not have to hide in our homes in fear or put on a hazmat suit to go out into public. It is advised that we clean up our diet, build up our immune system, and send away the fear demons who want us to fall into a hopeless state of despair, so that we will do whatever we are told. Regardless of whether the threat from Ebola materializes in the US, we do not have to become helpless victims. We do not need to fall prey to fear. This is important, because people are increasingly becoming more and more fearful as news reports fan the flames of an approaching epidemic. When people do not understand a disease such as Ebola, the natural reaction is fear. If people feel there might not be any help for them and their families if they get the disease, the natural reaction is fear. Sustained fear suppresses the immune system. Unrelenting fear can actually contribute to the likelihood of developing Ebola disease if the virus is contacted. In this sense, fear can help spread the disease in a community by lowering the functioning of our immune systems. A discussion of Ebola or any other threat of epidemic disease would not be complete without mentioning the existence of God and the power of prayer. Those who have a relationship with God will be empowered to enter into His peace and to live under His protection. Those who lack such a relationship may find themselves doing battle with fear, and its friends panic and terror. If we expect to see Ebola spread through America and we fear for our lives and the lives of our families, then we are putting ourselves under stress. Fear is a tricky fellow. It doesn’t work to tell yourself, “I will not be afraid.” What does work is to prayerfully live in relationship with God who can relieve us of our fear and allow us to live day by day under His care. Those who live in the way of His peace know where they are headed and will be able to trust in Him regardless of what happens. Gaydos JC1, Top FH Jr, Hodder RA, Russell PK. ; “Swine influenza a outbreak, Fort Dix, New Jersey, 1976,” Emerg Infect Dis. 2006 Jan, PMID: 16494712. Tan DX1, Reiter RJ, Manchester LC. ; “Ebola virus disease: Potential use of melatonin as a treatment,” J Pineal Res. 2014 Sep 27, PMID: 25262626.